We at Enjoy-Morocco Tours provide a variety of inspiring and informative professionally Marrakech guided trips and tours daily through many destinations across Atlas mountains, and Sahara Desert. All of the Marrakech private tours listed below are move along at a leisurely pace. Enjoy Morocco team organise Marrakech to Merzouga tours with experienced drivers and guides. 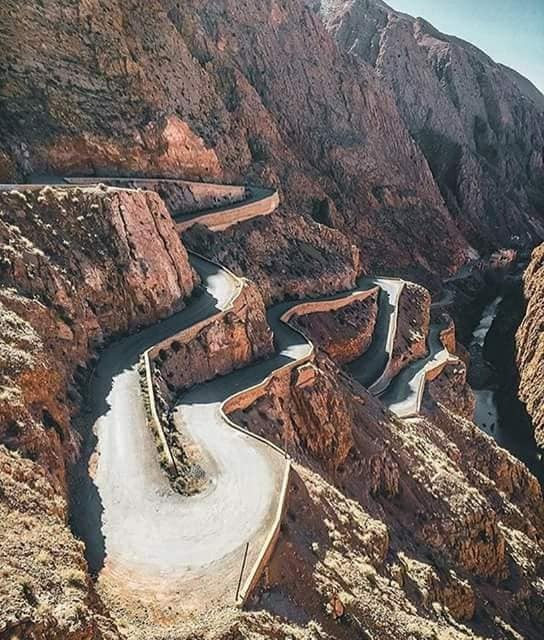 We will start our three days Morocco tour with a hotel pick up and we drive through Tizi N’Tichka road pass in the High Atlas Mountains. Along the way we pass few Berber villages and we visit the UNESCO world heritage Kasbah of Ait Ben Haddou. It has been served as a set for various Hollywood movies including Gladiator. 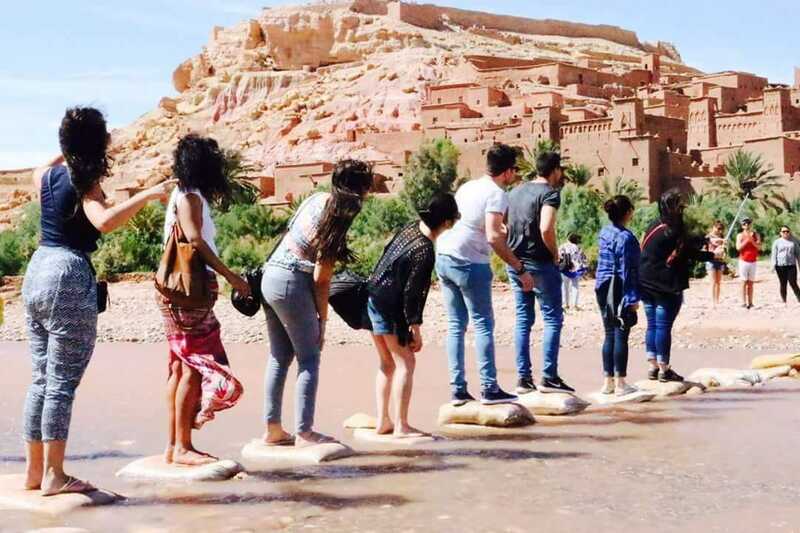 We explore the site in guided excursion, then we continue to Ouarzazate where we visit Kasbah Taourirte and film studio. In the afternoon, we drive to Skoura , we visit Valley of the Roses and you spend the night in Dades Valley in local kasbah or riad with dinner. Today after breakfast, we explore Dades Gorges and then we drive through the road of 1001 Kasbahs. We continue to Tinghir where we walk along Todgha Gorge famous within rock climbers. After lunch we continue to Jorf and Erfoud, where you visit fossil factory. We continue to Merzouga where you start your Erg Chebbi, excursion. We explore the desert in adventure camel ride over sand dunes , we watch the fascinating sunsets in Sahara. Once we reach Sahara Desert camp we will have traditional dinner served under the stars next to our camp. We listen to local Nomads playing their drum songs. We spend the night at comfortable Sahara Desert tents. * Experienced Sahara Tour Guide.